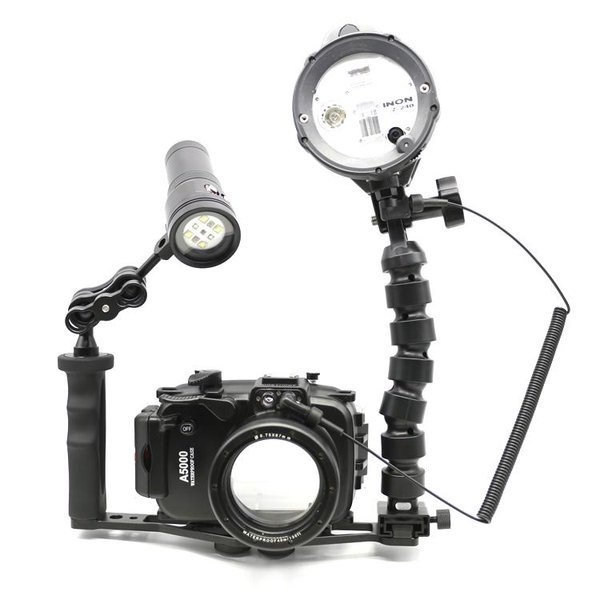 I’ve been thinking about picking up a Meikon dive housing for my Sony a6000, they look like good value and I know a few people have been getting good results from them, although I have heard reports of some issues too. The only thing stopping me getting one now is that I don’t have the 16-50mm kit lens for my a6000, I bought a body only and decided to go for a fisheye, a couple of Sigma primes and a Sony 70-200mm tele-zoom for my lens selection so far (I’m hoping to do an essential accessories style post soon). You can buy them from Amazon for around $180, they’re also available under a couple of different brand names but I believe they are all made by Meikon originally. If you’ve been thinking about the Meikon Sony a6000 housing you’re definitely going to want to take a look at this video, there’s no audio, just a good look at the unboxing of the housing and how the closure system works, and at 2:15 they show you the wide angle dome port add-on too. It’s similar to many dome port addons for lightweight dive housings in that it clips on the front of the existing port, so you will not be able to use this as an alternative to a dome port for shooting with a fisheye lens on the surface, all it does is correct distortion and the zoom effect of a flat port underwater, allowing you to get closer to your subject. 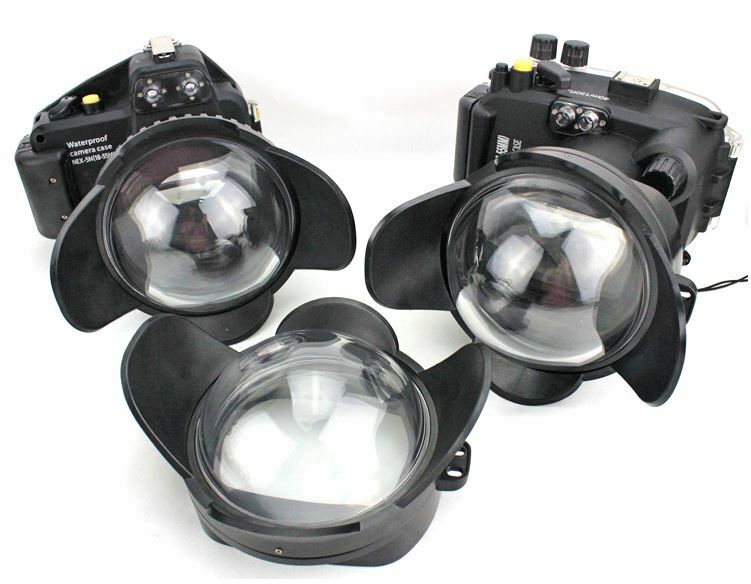 I kind of like the idea of using one of these dome ports as the starting point for my own dome port on a DIY housing, or for an over/under GoPro case design perhaps, but it definitely wont make this housing a replacement for my Aquatech CR-60 which I have modified to fit my Sony a6000. Is It Any Good For Surf Shooting? It is a dive housing, and I’m sure it works really well for making images underwater, especially with the level of control you’re given over the camera functions and the ability to trigger external flashes from the pop up flash, but it’s not ideal for shooting on the surface in waves. The port is fixed, so you’re limited to short prime or zoom lenses, not that there’s anything wrong with that, the 16-50mm zoom is a perfectly good lens and I’m sure you could fit both of my Sigma 19mm and 30mm prime lenses in there too, giving you some flexibility at least, but you’re not going to be able to shoot fisheye or long telephoto using this housing, both of which I really enjoy doing in the surf. There are a couple of reviews on the Neewer branded version on Amazon, one of which says that it’s been used in the surf in Hawaii with no issues, so I think it’s got to be worth a go for any Sony a6000 users who don’t have a better option, but having used dive housings in the past for compact cameras and DSLR’s I would definitely recommend going for a surf housing over a dive housing every time. I love my Aquatech housing, if they offered one for the a6000 I would definitely recommend it, and I even heard a rumour they were considering making one, but nothing has popped up yet, and SPL, Essex or Liquid Eye don’t have an off the shelf option yet either. I can’t help thinking the market is ripe for someone like KNEKT to get in on the splash housing market, offering something that would fit all the smaller mirrorless cameras with a pistol grip and a flash connector would offer the budding surf photographer (a big part of KNEKTS market I assume) somewhere to move to from the GoPro. Until someone steps up and offers something suitable you might want to follow my lead and adapt an old water housing for the Sony, I’ve written a post about the adaptations I made to the Aquatech CR-60 to use the a6000 inside and because of the relatively small size pretty much any DSLR housing will work, so keep an eye out if you think that’s going to be an option you’d like to look into. Hey Ben, great post as always. I actually ordered a Neewer housing for my NEX 5R just yesterday. It was only US$135 including shipping, so I thought why not. I was thinking the same thing with the two Sigma primes, both are almost the same size, which is really handy for housing manufacturers (*Hint* Aquatech, SPL etc. ), and both have great reviews and are extremely cheap. The only problem would be lack of manual focus, but I think if you find the right sized focus gear ring it could possibly work. I totally agree the market is ripe for mirrorless housings especially when mirrorless are catching up to DSLRs in terms of performance and not to mention their handy EVFs. I’ll let you know how the housing goes. Also I noticed the Neewer version didn’t come with silicone grease unlike the Meikon, have you any experience with using that stuff, and whether its necessary? I have the 19mm and 30mm from Sigma and I’ve had great results with them in my Aquatech Housing, I haven’t had the need for manual focus with mine yet, the auto focus on the a6000 does a pretty good job. At some point someone is going to make a housing that fits the needs of 90% of surf photographers and costs half the price of the main competitors, I think it will need to be a new company because the existing ones don’t want to cannibalise their current market. Aquatech and SPL are Nikon and Canon, companies like KNEKT and Meikon are Sony and Panasonic, so look to them for the innovation in the market. As for Silicone grease, Aquatech actually say you don’t need to use it on the main o-ring at all, but most other manufacturers I’ve used recommend using a small amount, just enough to make the o-ring look wet, to ensure a good seal. You can buy it very cheap from dive supply stores, I expect you’ll get some with the housing even if it doesn’t say so in the description as it’s such a cheap thing to add in. 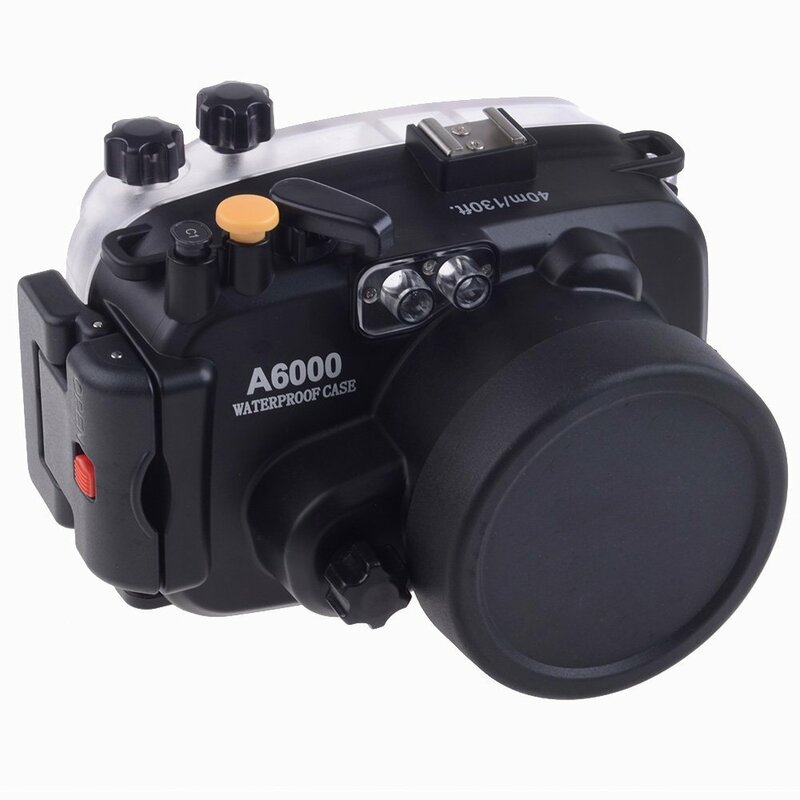 Looking forward to the a6000 housing post for the Aquatech CR-60 housing. I’ve started writing it, I’m just waiting for delivery my new back-up camera so I can take some photo’s of the a6000 in the housing as I’ve sold my Canon 70D and my phone camera is not really up to the task. Hopefully it’ll be up soon. Just an update on the a600 > Aquatech post, I’ve just shot the video, just need to do a little bit of editing and write it up and it’ll be up on the site. Hey guys I have the A6000 housing, it fits the sigma 19mm and 30mm lens, not got the fisheye dome. It works OK, I would be skeptical about taking out in really heavy surf but it is fine for long lens work. Only issue I have had is the viewfinder is obscured by frosted plastic and using the screen on cold days caused some fogging issues as it get s bait warm. So I used t-Cut on the area behind the viewfinder and it is fine like that. It isn’t in the same league as an aqua tech but is a good way of getting a good camera int he water for comparatively not much money. I should have a Sony NEX 5R on it’s way as my new backup and it has the 16-50mm kit lens with it so I was thinking of grabbing a Meikon housing at some point if I get on with the lens. Good to know the Sigma lenses fit in there OK too. That seems like a bit of an oversight on Meikon’s part to obscure the viewfinder, I prefer using the viewfinder most of the time in any case but it’s hard to do with my adapted Aquatech housing as it’s so far inside the housing. I’m thinking of chopping up a clip on loupe style viewfinder for use with the a6000 in my housing but I haven’t found a good cheap option yet. Hey, would it be possible to shoot ‘under over’ pictures, using the above meike lens and the fish eye dome? filling with water on the surface, or it might work OK.
they’re usually taken using a fisheye lens which is much wider. Thanks for the advice Ben, I’ve just ordered the housing and dome, so i’ll give it a try. I’m heading to the Philippines next month, so I’ll get use out of the dome while diving, hopefully with whale sharks. How did those under-over shots turn out? I’m really want to get a housing/lens that will accommodate under-over shots but don’t want to end up spending a couple thousand. Interested as well Rob, were you able to take under/over shots with this port? thanks to Ben for that little review. Are there some sample pictures available, i would be very thankful about any samples. Could someone post them somewhere ? I haven’t taken any shots with the Meikon housing and a600 myself, but all the water shots from the a6000 on this site were taken by me and the majority of them are taken with the 19 and 30mm Sigma lenses which both fit in this housing, so they should give you an idea of what’s possible. At about the 13 minute mark you can see the camera being used in the Meikon housing and they show sample shots with settings in the video. If a full res/raw file sample from my a6000 and my own water housing (an adapted Aquatech CR-60) would be useful let me know and I’ll send one over. I saw liquid eye working on a housing for sony A6000, anyway meikon is a good way to start with. some photographers using it, but nobody answered how they like it. That’s really interesting news from Liquid eye, do you have a link to an announcement or any more details? I can’t see it on their website. There are some photographers who have given good reports on the value of the Meikon housing, but there are certainly drawbacks for surf photography, I’d love to see what Liquid Eye can come up with, especially if Sony keep the same form factor for the new a6xxx camera which is rumoured to be announced soon. That’s awesome, thanks for replying, I do follow them on Instagram but I missed this post unfortunately, it’s really good news. I’m going to try and find out more. No problem, I’m deep into researching a topic, so your posts are very helpful Ben! did you find out any more alex? did you find out any more? I got an e-mail from Phil at Liquid Eye back in June after I asked for some more information. At that point it was in the 3D modelling stage, with at least two interchangeable ports at the design stage too (for popular prime and fisheye lenses). So it looks promising but it might be a little while before launch I guess. I am using Sony macro 30mm which is slightly longer than sigma 30mm. Do you this it will fit? It looks like the Sony 30mm macro is 56mm long and the Sigma is 38.6mm, so it’s quite a bit longer. The maximum extended length of the 16-50mm kit lens that the housing was designed for is about 52mm, so I doubt the 30mm macro will fit inside the housing unfortunately. But the only way to know for sure is to try it out. I was just wondering what you think of the ikelight housing for an a6000. I’m looking at getting the a6000 and am just wondering whether it’d be better than a miekon for surf photography/videography given the price difference. I’ve had a good look at the Ikelite mirrorless housings, they look like a really good choice for people who are shooting dive photos, as you’d expect. What isn’t clear is how well they would stand up to surf, the pot system in particular could be a weak point. I have used an Ikelite housing in the surf before but it was a DSLR housing so it was really cumbersome compared to the smaller mirrorless housings, it worked, but it’s nowhere near as nice to shoot with as a surf housing. If you want to shoot diving photos and you need interchangeable ports, go for the Ikelite. If you are on a tight budget go for the Meikon. If you only want to shoot surf and you’re not on a tight budget go for a CMT or a Liquid Eye surf housing (the Liquid eye housing isn’t available yet but you can e-mail CMT to order an a6000 housing right now). There really is a world of difference shooting with a pistol grip style surf housing compared to any dive housing. Awesome, thanks heaps Ben. Really helpful! Hey Ben, I recently bought the Meikon housing for the a6000. It feels great, i have a 30mm sigma prime that fits perfectly. I have used it about 3-4 times since I purchased it and I keep having issues with it fogging up pretty bad. I have a dessicant gel pack in there and have used anti fogging spray. I just dont really know what else to do. Im curious as to if it may be our cold waters up here in Canada causing it to fog up? Any suggestions as to a fix to this problem would be awesome! Cheers man. Sounds good, I’ve actually ordered a Meikon housing for my a6000 and it should be with me soon, so I’ll be able to test the exact set-up you have for fogging soon. I have sued a Meikon housing with my Sony NEX 5R though, and I haven’t had any fogging issues with that set-up. After each session remove the camera from the housing and make sure it is clean and dry with no drops of water on the inside. Charge the camera, prepare your SD card and insert the camera into the housing before you leave for the surf, put the desiccant pack in now if necessary. Seal the housing in a dry environment, don’t be tempted to put your wet wetsuit on before setting up the camera or open the housing in the rainy or damp atmosphere at the beach. I’ll have a play with my a6000 Meikon housing once it arrives and report back with any other tips once I’ve used it in the surf a few times. He ian im considering a meikon a6000 housing but ive only got a sony 10-18mm lens (70mm x 63.5mm) would that lens fit in the port? I have ask many sellers and they wont give me the dimensions. Hey Steve, it won’t fit no, it is too wide of a diameter, the only lenses that I know of that will fit are the 16-50 kit lens, the 20mm Sony pancake lens, and the sigma 19 and 30 mm primes! Hope that helps. Hey I just got a Sony a6000, however it came with an 18-55 lens. Which lens should I get for the Meikon housing? From what you have seen which lens takes the best pictures? Out of the options I’ve tried I’d say the Sigma 30mm f2.8 is my favourite in the Meikon. The image quality is great and I really like the field of view from a 30mm on a cropped sensor. It’s down to personal preference a lot though, and the 16-50mm will give you the most variety and it’s pretty cheap too. The image quality is alright I’ve heard, but I don’t have it myself. Just to Add to Ians answer – the maximum length that will fit is 52mm (the length of the 16-50mm kit lens when it’s fully extended) and the maximum lens diameter is about 61mm (based on my own measurement of the lens port). To give you a visual reference there’s a threaded ring for filters on the inside edge of the lens port which has a diameter of 67mm, but the actual lens port inside is a few mm narrower. Thanks for the info guys. Out of frustration ive now started building my own housing. My old kinekt trigger is going to become useful again! Are you planning on adding any controls to the back plate or the top of the housing? Thanks, its definitely a work in progress. I’ve still got a ways to go. Eventually I will add controls for the other buttons but for now I am mainly focused on ensuring that the housing seals with no failure and that I can release the shutter with a trigger. Ive already got a housing that seals with no problems however I am having issues with a working trigger. The triggers on most big name water housing are basically a sealed monentary switch, right? The pistol grip triggers I’ve used are usually two stage waterproof buttons, so you can control the focus with a half press like you would the shutter button. Yep did the same thing. Cannibalized a cheap chinese knockoff wired remote shutter for its Multiport connection. I ended up going with two separate buttons which I like. Ive got more pics on my Instagram page. Look me up, Rawbdizz! Hey I just got a Sony a6000, however it came with an 18-55mm lens. Which lens should I get for the Meikon housing? From what you have seen which lens takes the best pictures? Since I will have to get a lens that fits the housing, might as well get one that works well. I’d get the 16-50mm kit lens that the housing is designed for as an all-rounder, you can then see which type of focal length you like to use the most as you have zoom control with that lens. If you find yourself using the wider end of the lens a lot and want a faster lens with better image quality I’d go for the Sigma 19mm f2.8. If you prefer shooting at a longer focal length you’ll want to do some research about which lenses fit. The Sigma 30mm f2.8 definitely fits, but the Sigma 60mm f2.8 doesn’t. There is probably a 50mm or similar lens that will fit inside but you’ll need to find out which ones are small enough to fit inside the housing before buying one. Interesting, where could we saw pictures taken with this housing ? I don’t have a gallery or samples that were specifically shot with this housing, but if you find any water shot that was taken with the Sigma 19mm, Sigma 30mm or the Sony 16-50mm lenses then you can see what this housing is capable of. The housing doesn’t affect the final image at all, so as long as the lens fits you’ll be able to get great photos with this housing. Thanks. What about using a flash on this housing ? There is a hotshoe above. How could we use it in water ! ? The shoe on the housing is a cold shoe, there’s no electrical connections to the inside. It’s useful for mounting a waterproof flash or a gopro with the right adapter. The housing does have two optical cable interfaces though, so you can use a slave flash with an optical cable to get flash working with it. In reality this is useful for underwater use but not as much for above water because the cable would be fairly fragile and might get in the way of the shot. Worth a try though I expect. It’s for both : surf without flash but flash underwater. Where could we find these type of flash ? Which is about the cheapest option there is. I don’t know how good it would be under water, but it’s plenty powerful enough for surf photography. You’d just need to pick up some optical trigger cables that match the flash and housing to get it working with the Meikon underwater. How do you do that Ben ? Could I have a picture of your installation ? That’s right, you can buy special cables like the one in the picture, or people have made their own with cheaper audio cables, you might even have some lying around if you work with them. Latch`s material not strong enough. I hope the latch didn’t fail when you were in the water! That’s a nice cheap fix, but I’m not sure I’d trust it to stay in place in the surf. I’ve not had the same issue with my Meikon housings, but I can imagine it happening if there’s a lot of force applied to the latch. Mine opens up fairly easily once it’s unlocked.